This amazing group of individuals is leading our 2019 races in 4 different states. We are so excited to work with them and watch the magic they create in their communities. Karen Cox’s background is in Human Resources and Executive Recruiting. Karen has spent the last 13 years being a full time mom to boys Connor and Jack. During that time she was very active in volunteering at her boys schools. Karen is on the School Board and Co-Chaired last year’s Fundraising Gala. She also worked for a non-profit working with homeless families to secure housing. Last year Karen started volunteering for JUST TRYAN IT (JTI) and introduced JTI to the St Michaels Catholic School (STM). STM has incorporated JUST TRYAN IT into their 7th grade leadership/service curriculum. She hopes to bring JTI to the other schools in the area. 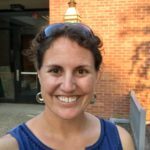 Kate Garrity, originally from Vermont, lives in Western Massachusetts with her husband, 4 year old son and (very) lazy yellow lab. She lives and works at Williston Northampton School, a private boarding school, where she is an Assistant Dean of Students, Coach, Dorm Parent and Health & Wellness teacher. Kate is always looking for ways to involve kids in sports and teach young people about the importance of community service. Ann grew up in the Pioneer Valley and never left. She went to Springfield College where she played Division I field hockey and obtained a B.S. in Environmental Science. 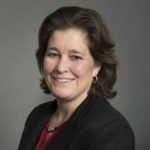 Subsequently, Ann worked for a dozen years as a police officer before landing at Williston Northampton School as the Director of Security five years ago. Ann has three daughters who are her pride and joy! They live in Southampton, MA where she enjoys participating in road races, photography and hiking in northern Maine. Deb is excited to be the Race Director for JTI Alexandria. 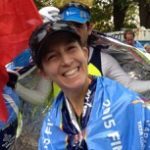 She recently relocated to Maryland after spending most of her life in New England where she has done a variety of jobs including working as a Physical Therapist, a government consultant, a personal trainer, a race director and a running store owner. She still doesn’t know what she wants to be when she grows up, but is keeping busy for now with her 3 active kids, 2 crazy dogs and equally busy husband. Deb loves to swim, bike and run and is passionate about sharing her love of triathlons with others (especially kids!) and finding ways to help families of kids fighting cancer. Leanne resides in Potomac with her adorable husband, three amazing kids and two crazy dogs. 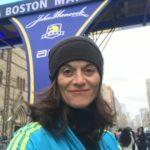 She is an active runner planning for her 10th Boston marathon in a row and her 17th marathon overall. 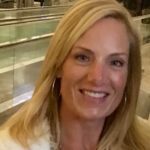 Leanne has served proudly as race director for 4 races and when not running or planning races, she is driving her 3 wonderful kids to their sporting events or working for Girls on the Run, Montgomery County. Leanne is the original JUST TRYAN IT Rockstar having coined that term years ago as our fundraising chair. She has also served on our board.